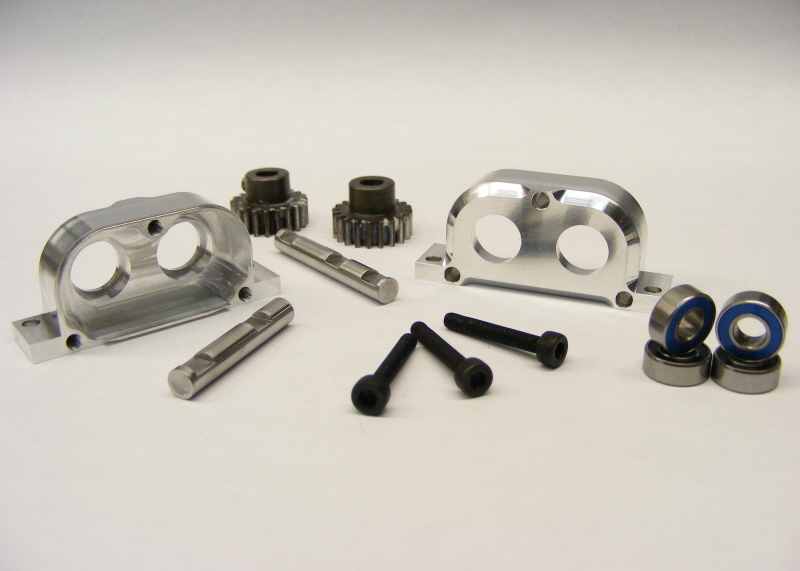 Using only the best and toughest materials, this little wonder is assembled with fully hardened and machined steel gears, ground and hardened output shafts, and a billet machined aluminum interlocking case. 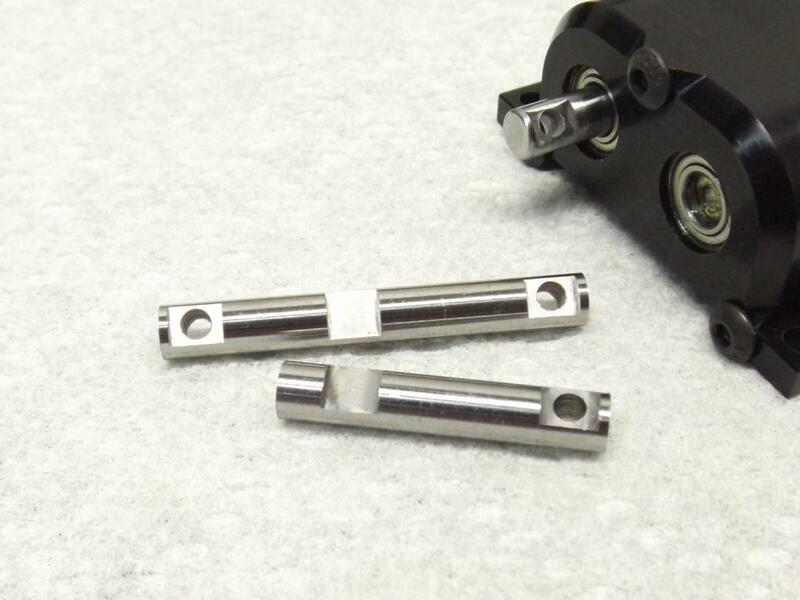 The 2 included shafts are milled for flats and screw pin holes and make assembly a breeze, and after threadlocking the setscrews in your t-case, there will be no maintenance or slipping gears to worry about. 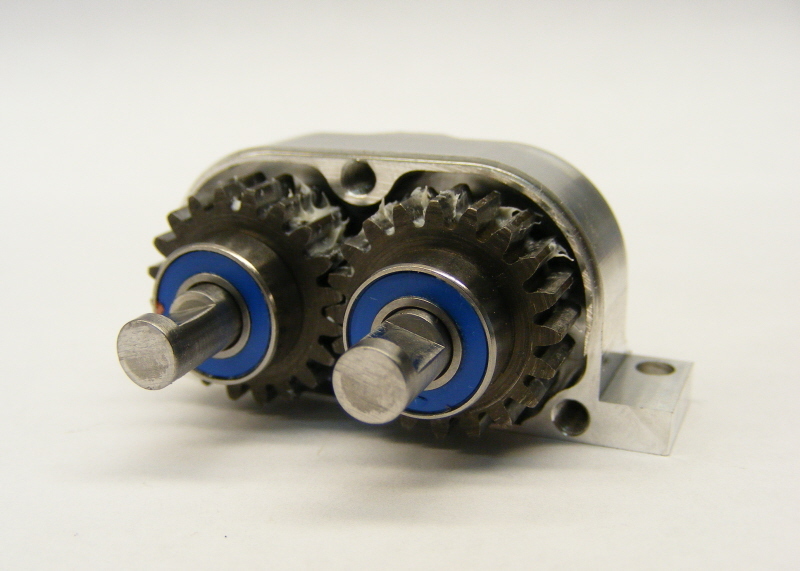 This case was designed to last and handle the harshest bashing and torque, and the case parts fit together in a tight interlock to make sure the gears and bearings stay in line. These cases can handle any terrain and are the final step in making your scale truck driveline just like the full-sized inspirations. 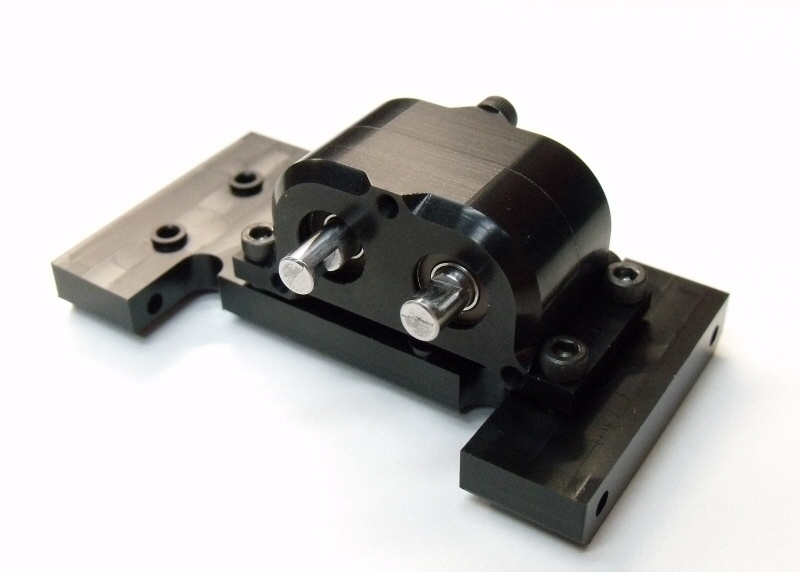 Anodized black, assembly required.